Congratulations on your new place! Whether a condominium, cooperative apartment, single-family home, townhouse or mobile home, your home-sweet-home affects your tax status. If this is the first year you’ll be filing your taxes as a homeowner, there are a few things you need to know to take the most advantage of your new status. Before filing your taxes, be sure to discuss each of these with your tax professional. If you’ve been used to using the EZ forms to file your taxes, you’ll need to remember to use the 1040 Schedule A instead. It is more complicated than taking the standard deduction, but you’ll be able to itemize costs like mortgage interest, property taxes, the points you paid to get your loan, and mortgage insurance. Mortgage interest: By far the biggest tax break, your mortgage interest is the biggest expense reflected in your house payment. In fact, most of what you pay in your monthly mortgage payment often is interest. In fact, unless your loan is for more than $1 million, you may be able to deduct all of that interest. Home equity line of credit: In general, equity debts up to $100,000* are fully deductible. Points: If you paid points in order to get a more favorable interest rate on your home purchase, the IRS lets you deduct them in the year that you paid them under certain qualifications. Those qualifications include, among other things, that you used the loan to purchase or build your main residence, and are an established practice in your locality. Points paid on a loan for a second home typically must be amortized over the life of the loan. 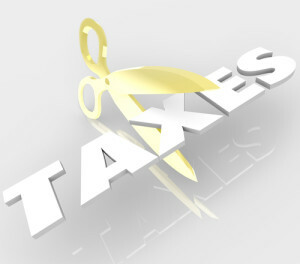 In addition to the items connected directly with your home, the Schedule A also allows you to itemize personal property tax, state withholding and local taxes. If you donated furniture, clothing, appliances, and other items to charity when you moved, you’ll be able to itemize your charitable deductions as well. When you file a W-4 with your employer, you choose the exemptions you are allowed to claim. When you own a home, you may be able to claim more exemptions on our paycheck. Carefully balancing your exemptions allows you to take home more money in your paycheck during the year, giving you more cash in hand to pay on your mortgage.